CLICK HERE TO FIND AN AVAILABLE PARTY AND BOOK TODAY! Maximum of 18 kids, NO EXCEPTIONS!! Only the parents of the birthday child are allowed on the floor. Guests are welcome to sit upstairs. Absolutely no adults will be aloud on any equipment. 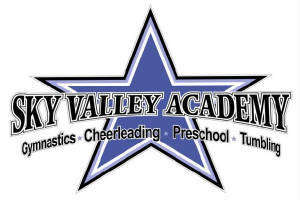 I acknowledge that my child will be actively involved in physical activity at Sky Valley Gymnastics Academy for a Birthday Party. Only children who are invited are allowed in gym and equipment. Adults are not allowed on equipment. I Hereby understand requirements and release Sky Valley Gymnastics Academy of any and all liability due to accident or injury during a Sky Valley Birthday Party. Our goal is to provide a fun and safe environment for all birthday guest.